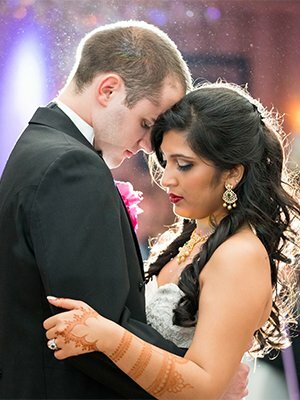 Raj Photo and Video did the videography for our wedding in Chelsea, New York this April. We hired them just before the event and they were completely professional from the first moment we contacted them. Every communication, by email, by phone and in person has been professional and helpful in every way. On the day of the wedding, we really appreciated that they brought in extra staff so we would not miss any important parts or angles of our event! They were easy, kind, unobtrusive and polite in every way. We never even knew when they were around! It was seamless! We all felt completely comfortable around their team. One of their staff, who had been coordinating with us before the wedding, even came over from another event late in the evening to ensure all had been smooth and just as we had envisioned. 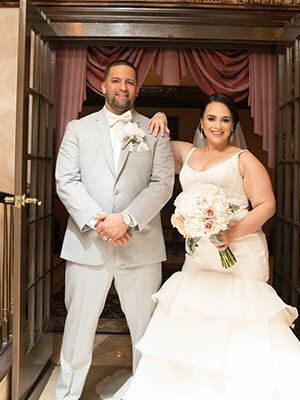 We considered many videographers in the NYC area for this wedding, which was a grand and elaborate affair. But we chose Raj Photo and Video for their incredible thoughtfulness and very high interest from the beginning in making the video a treasured memory, and providing us with exactly the feel and direction that we would most like to see portrayed. 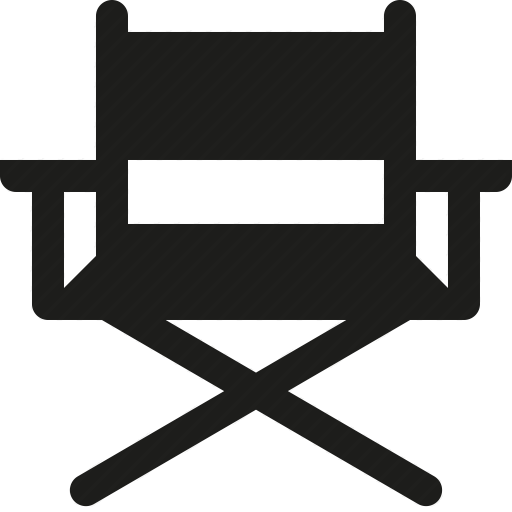 We would like to highly recommend them to anyone looking for videography at their events in the NYC area. Words fail to express how we felt after we saw our wedding pictures. Amazing work, fabulous captures. Very friendly, accommodating and easy to work with him and his team. Sameer is very talented and has a beautiful vision. I planned an indian wedding in about just 3 months, and i am very fortunate to have found such an amazing vendor last minute. The team is very professional and doesn't care much about the amount of time they have to put in, their concern is the quality they deliver. I cannot wait for cinematography and videography that Nick and Ajay have captured, which i'm sure is just as phenomenal. BTW, Sameer, Ajay and Nick- their smiles are contagious and welcoming which makes it super easy & comforting to work with. My husband and I want to thank Raj photo Video sincerely. Where do i begin... I got engaged back in 2014 and immediately began looking for a photographer/videographer for my wedding. I knew this was going to be the most difficult task because I was working with a budget, but did not want to sacrifice on quality. After talking to many of my friends who got married and searching the internet day and night, I came across Raj photo video. From the very first time I reached out to Sameer, him and his family were nothing short of professional, knowledgeable and kind! Sameer had many different packages to offer me so I could stay on budget and still get everything that I wanted. 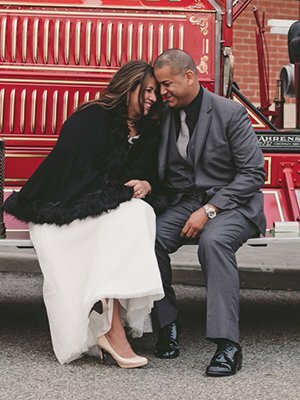 My husband and I knew we were in good hands, so we were happy to book Raj photo video in early 2015. Sameer kept in contact with Joey and I through our very long (3 year) engagement and was always only a text message away if we had any questions. The week before my wedding, when absolutely everything that could go wrong did, Sameer was my voice of reason! He called me and said to enjoy the ride, even the bumps, because before I blink it will all be over. And boy was he right! The day of my wedding, May 6, 2017, Sameer and his family were prompt and got to work right away making sure they got pictures/video of everything. My guests had nothing but great things to say about the crew including how versatile, creative and fun they were! Less than a month has gone by and we have already gotten our pictures back with a link to share so all of our guests can enjoy them as well. I am simply amazed at what a beautiful job Raj photo video has done. Because the day went by so fast, I can't remember all of the little details. However, Sameer has brought them all back to life with his stunning pictures. He truly captured each moment. I am so happy that I made the choice to work with Raj photo video and will definitely be referring them to all of my family and friends. HIGHLY RECOMMENDED!! We had both photography and videography for our wedding and it was a great decision! Sameer (photographer​) and Ajay (videographer) worked very well together to make sure we got all the pictures we wanted and enough footage for a cool video! 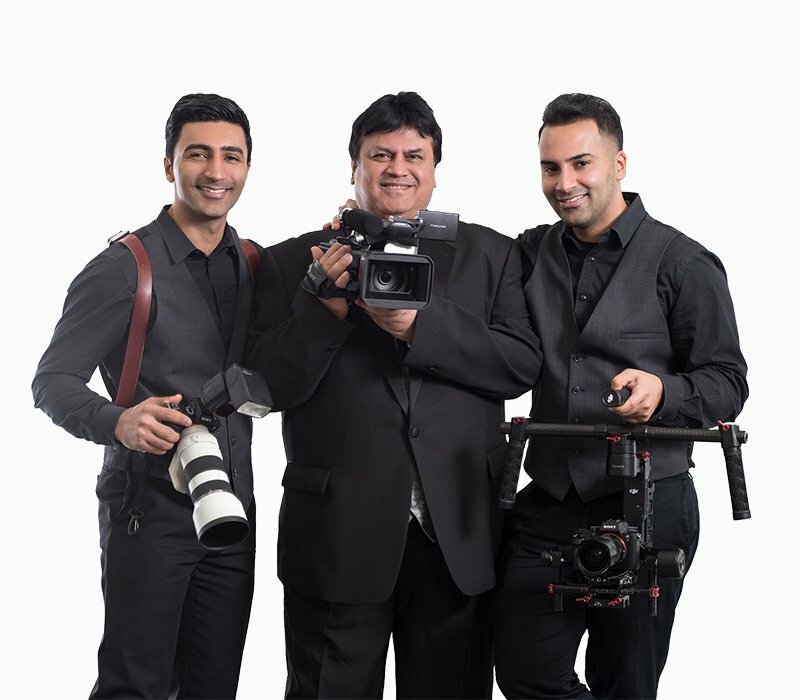 This team worked very professionally and made our wedding day fun =) Couldn't be happier with our decision to go with Raj Photo Video to help capture our most important day. Thanks guys!!! We worked with Raj Photo Video for all of our wedding functions. We were so impressed with their work that we chose them again for my brother's engagement ceremony. The pictures came out amazing! They were available very quickly to view and it was easy to share them with our family and friends. Our photographer was Sameer. He was very professional and catered towards our specific needs. He was also very friendly with my family and even came to our house to take some photos before the event started! I would definitely recommend Raj Photo Video to everyone looking for someone reliable with very high quality work. Sameer covered all of my wedding occasions and I was very pleased. The entire team is very professional and personable. I highly recommend them! Thank you guys for everything you guys did for our wedding this past december, Sameer and Ajay were amazing from the communication weeks months before the wedding till even after was remarkable. The day of you guys were so professional and great helpful hints for great pictures. We absolutely love how are pictures and our video turned out, we can't wait to see our album. 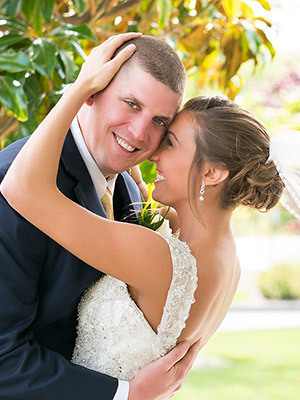 We recommend your company to everyone who needs great wedding pictures. Thank you from the bottom of my our hearts! Everything was amazing from beginning to end. Raj photo video was a pleasure to work with, they delivered pics faster than expected. I wish would have done a video package. I would recommend to anyone. True professionals!!! I couldn't thank these guys enough! Sameer and his partner were a pleasure to work with! They really go above and beyond on your wedding day! They made the whole day enjoyable, natural, and fun! From the moment I spoke to Sameer I knew I wanted him as my photographer! Sameer's communication was consistent, effective, and efficient. If you want real moments and the best ones these are the guys to go with! I'm obsessed with my photos! Thank you again !!!! I'm going to be honest...we planned our wedding January (2016) on a very tight budget. I wanted a photographer and videographer that wasn't going to cost an arm and a leg. That's when I came across Raj Photo Video. There's that saying that says you pay what you get for...well compared to other costs I wasn't expecting anything spectacular. Wedding day comes and goes they are there we do pictures they were around all night and they recorded everything. Flash forward a week or two we get our highlight reel from the wedding we were OBSESSED with it. We then got all our edited images and I loved them. The hard part was picking out pictures for the album...I did so about 10 months later (oops). I came home today from work to find my wedding album not at all expecting it and I absolutely am in love. It was not at all what I was expecting. It's perfect! Lesson learned...sometimes you find honest at home guys who don't charge you like other photographers for working out of their own homes! P.S. he did travel a distance for us also! I would 100% recommend them! They're work is awesome!!! Are you interested in booking with us? 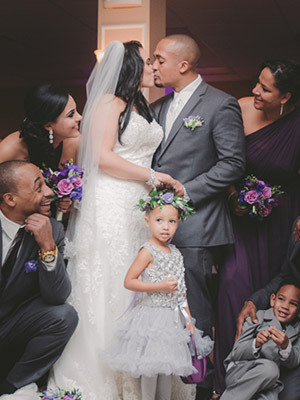 Raj Photo Video is a home studio based out of Marlboro, New Jersey. Our roots are dated back to 2007 where this business was started by our father, Raj. 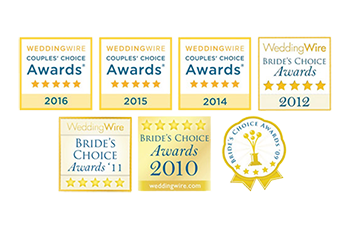 Our philosophy is simple: professional and high quality wedding photography, wedding film, and engagement photography and video services in New Jersey, New York, Pennsylvania, and Virginia. We are a family based service that offers just that - a family based approach to customer service. We don’t just serve you, we serve your family in capturing moments that will be treasured for generations to come.We have industry expertise in wedding films and wedding photography, covering a vast range of cultures including, but not limited to, indian weddings, christian weddings, catholic weddings, greek orthodox weddings, vietnamese weddings, and pakistani weddings. 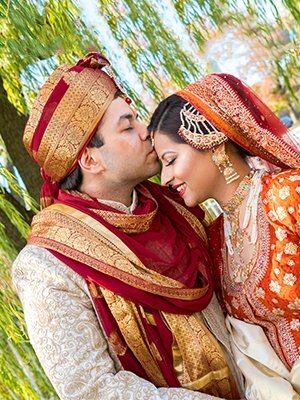 We got our start with indian wedding photography however our approach to capturing such color depth, crisp detail, and vivid colors has attracted the attention of many cultures and ethnicities in trusting our expertise in booking their wedding photography, wedding film, and engagement session services with us. Give us a call at 732-939-0828 and let us tell your story.Let’s chat. 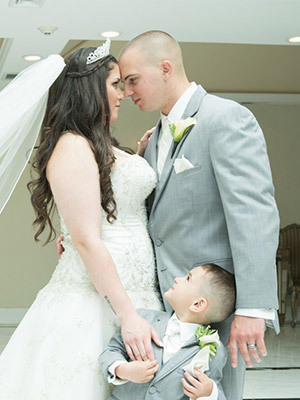 Raj Photo Video is a premier wedding photography and videography studio based in Englishtown, NJ. Our style is deeply rooted in photo journalism so that we are capturing raw emotion so it can be relived in the most beautiful way possible. We pride ourselves in not just being wedding photographers or cinematographers, but creative directors and coaches to achieve inspiring, high quality, clean, and contemporary portraiture and film. 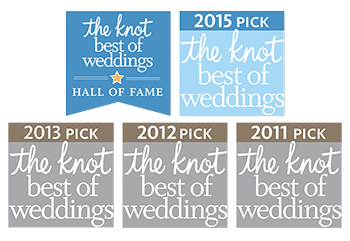 More importantly, we are renowned for holding a position as a modern and technology savvy studio that allows you to share those moments with those you love in the best way possible. 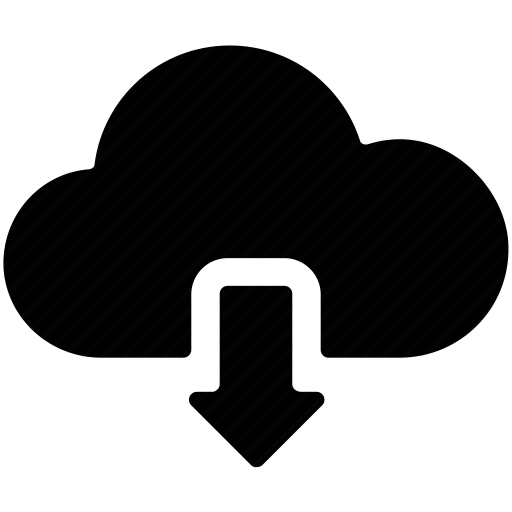 Raj Photo Video © 2004 - 2019. All Rights Reserved.